Are you an individual, group or service provider looking to enhance your community knowledge? 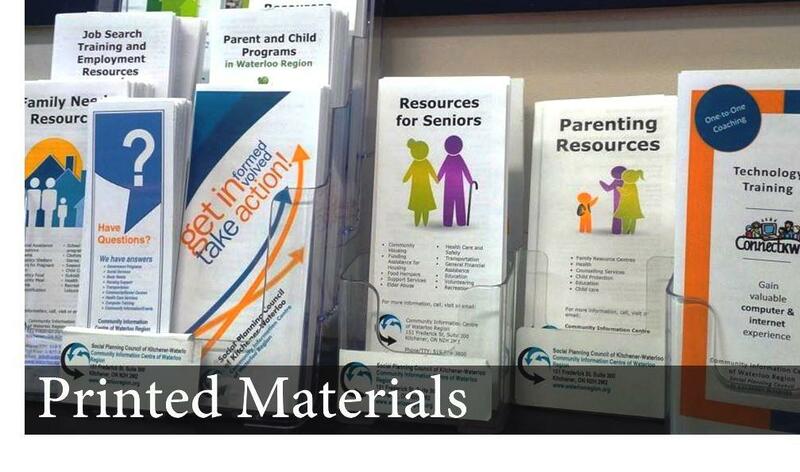 The Social Development Centre is committed to bringing you the most up-to-date information of community resources available in Waterloo Region. 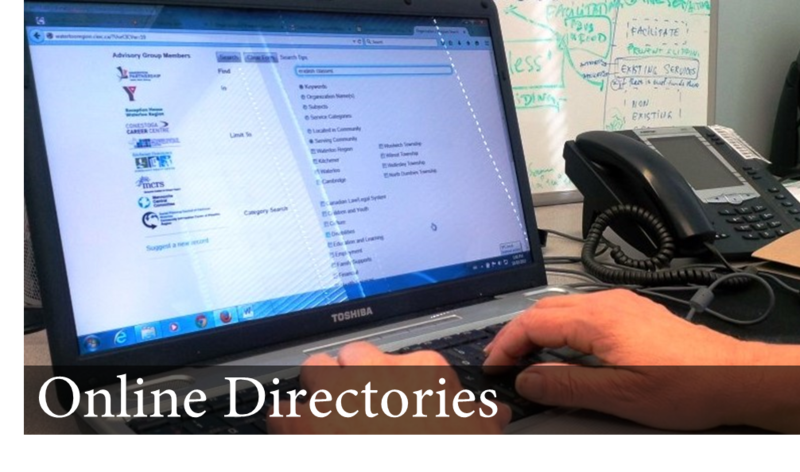 We are creating easy-to-use and customizable resources thanks to the 2,500 records in the Community Services Directory. More importantly, we are developing service system navigation tools, bidling relationships among service users and service providers, to help improve information delivery in the community. Our aim is to stay constantly informed so we can help you stay in touch with our changing community and reduce time wasted searching around for answers. Can’t find what you’re looking for? Or, have another idea that best suits your organization's needs? 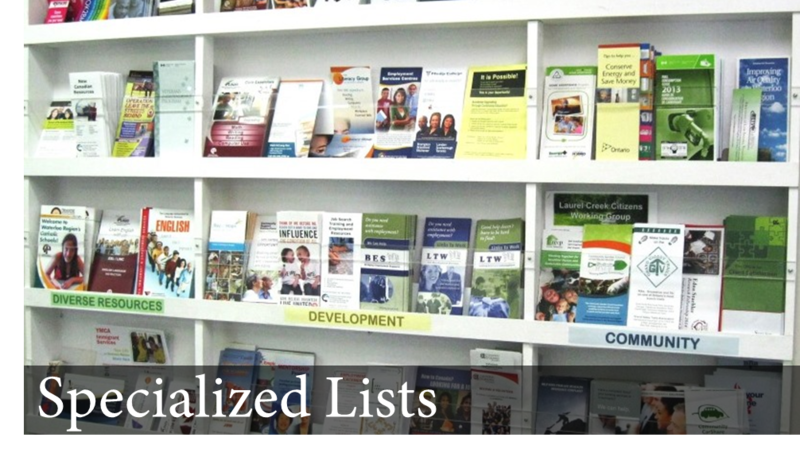 We can create Customized Resources and Information Listservs for you! We are uniquely positioned to provide a range of services to create adaptable, flexible, and meaningful information resources for planners, front-line workers and specific groups of users. 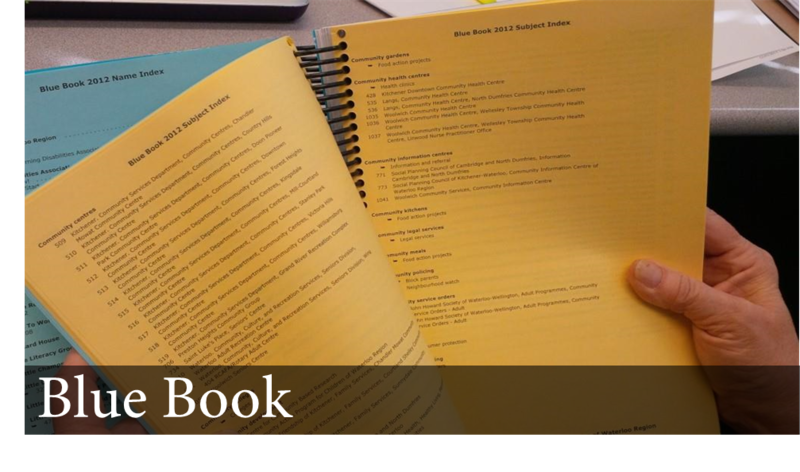 We can also maintain your listserv and newsletters, as the Waterloo Region Child and Youth Connection Newsletter! The Social Development Centre was approached to maintain a monthly online newsletter specifically geared toward raising happy and healthy children and youth and with provided listerservs to which to be sent out. Our long history and commitment to providing reliable resources attests to our reputation as community information management specialists. We maintain information according to recognized international standards of information management to ensure reliable and trustworthy data.